DENMARK: Ørsted's earnings increased in the first half of the year, driven by its wind business. Its earnings before interest, tax, depreciation and amortisation (Ebitda) increased 11% year-on-year to DKK 8.6 billion (€1.15 billion). The developer's wind power business generated DKK 7 billion in Ebitda, up from DKK 6.3 billion in 2017, and DKK 14.5 billion in revenue – a 34% increase year-on-year. 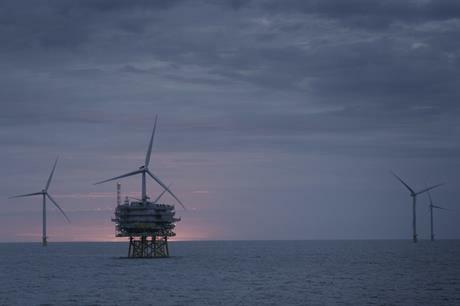 In its results presentation, the company noted the sale of a 50% stake in its Hornsea Project One offshore wind site in the UK is expected to take place before the end of 2018. Ørsted's Q2 Ebitda fell to DKK 3.1 billion from DKK 4.4 billion in Q2 2017, however. This was the result of a particularly high total last year impacted by the deferred sale of a wind farm, CEO Henrik Poulsen explained. He added: "The solid results from our offshore wind business continued into the second quarter with increased earnings from our operating assets and continued strong progress on our construction projects." As well as announcing its H1 results, Ørsted announced its onshore re-entry with the acquisition of US developer Lincoln Clean Energy. For more, click here.